Stan Z. Li, IEEE Fellow, received his B.Eng from Hunan University, China, M.Eng from National University of Defense Technology, China, and PhD degree from Surrey University, UK. He is currently a professor at the National Laboratory of Pattern Recognition and the director of the Center for Biometrics and Security Research (CBSR), Institute of Automation (CASIA), and the director of the Center for Visual Internet of Things Research (VIOT), Chinese Academy of Sciences. 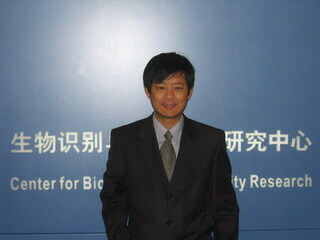 He worked at Microsoft Research Asia as a researcher from 2000 to 2004. Prior to that, he was an associate professor at Nanyang Technological University, Singapore. He was elevated to for his contributions to the fields of face recognition, pattern recognition and computer vision. (2007, 2009, 2013, 2014, 2015, 2016) and has been involved in organizing other international conferences and workshops in the fields of his research interest. Stan Z. Li is an expert in face recognition, biometrics and intelligent video surveillance. The EyeCU face recognition system he developed at Microsoft Research Asia was demonstrated by Bill Gate on a CNN interview. He has been leading several national and international projects in biometrics and intelligent video surveillance. The AuthenMetric face recognition system and intelligent video surveillance system have been deployed in several national projects, including Beijing 2008 Olympic Games, Shanghai 2010 World Expo, and immigration control at China borders. He is a co-chair of SAC/TC100/SC2 for biometrics standardization in China and delivered a plenary speech on Biometrics in China at ISO/IEC JTC1/SC37 on behalf of the China National Body.